Mesh instead of the Nubuck & Primeknit, BOUNCE instead of BOOST… What could it be? Let’s see if the new version can keep up with the old one. The Harden Vol.1 was all about those premium materials, but this time, the harden B/E rocks more traditional Mesh upper while still keeping that premium look with the leather overlay. No doubt, the Mesh upper in-hand does feel cheaper comparing to the Vol.1 and that was no surprise for me. However, despite the upper feeling a bit cheaper, the on-foot experience didn‘t receive any hit whatsoever. Well-ventilated mesh offers really solid breathability throughout the whole upper, which is a nice upgrade from last year‘s model. On top of that, the toe area is now way softer since there‘s no leather shroud anymore, instead of it, we have a mall toe cap for additional durability. 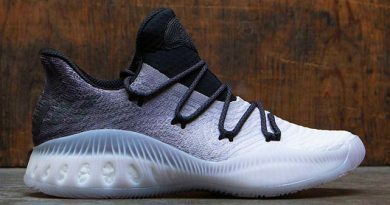 Listen, BOUNCE is the best foam cushioning in the business right now and that‘s facts, especially when it‘s capable to outperform that low profile BOOST cushioning on the Harden Vol.1. Yup, you read that correctly. Now this setup is not going to be a winner in every person‘s eyes. But if that bouncy, springy ride was the only thing you missed out from last year‘s pair, the Harden B/E‘s tooling will be much more enjoyable, trust me. Other than that, the BOUNCE version of this midsole performed pretty much identical – same solid court fell, outstanding responsiveness & great impact protection to go with. Just another well-rounded midsole from adidas. Adidas made a wonderful decision by keeping the exact same outsole since it does perform beastly and that‘s why this traction deservedly sits in my TOP 7 hoop shoes for traction list. All the colorways feature a translucent rubber which does get the job done on the same level as a solid rubber midsoles, so don‘t worry about that. Now the engineer tread pattern on the Harden B/E has almost the same properties & tendencies as a most famous herringbone pattern. And this, in my opinion, is what made this traction patter so successful & nasty. It completely doesn’t matter on what kind of court you’re playing, it will grip the floor no matter what and keep you fully covered all game long. And if outdoor court is where you grind for greatness then it’s all good since the rubber compound seems to be a bit more solid which makes this shoe an attractive option for our street ballers out there. Although the shoe feels different from the outside and uses different materials, I wasn’t able to feel much of a difference from the inside really – same textile lining, same heel padding, it feels like the Harden Vol. 1 from the inside. 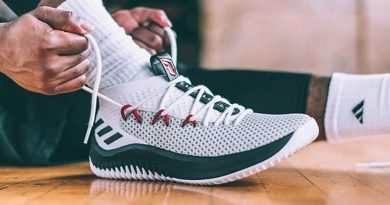 However, because of the Mesh upper, the shoe does feel much lighter on foot and offers much more freedom for your natural movements, which is a huge plus for guards who prefer having more room to move freely. Furthermore, they kept the same asymmetrical lacing system which continues to be a solid support feature on Harden’s sneakers. You just lace these bad boys up and that’s it, your foot is locked in completely. Just make sure you’re picking up a proper size for yourself, which is whatever your true size is. The Mesh & leather combo just creates that nice collaboration between modern budget & premium old school style. 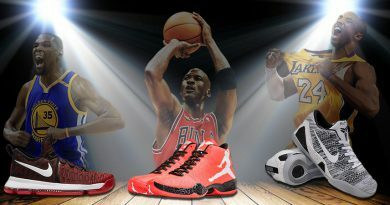 Not only it looks dope and it’s really a rare thing to see on today’s basketball sneakers, but it also provides you with well-rounded performance. You’re getting really solid midfoot containment from the leather shroud that protects your foot from rolling over the foot bed, while the Mesh upper offers one of the best breathability in the business, as well as soft & lightweight one-to-one fit. Also, the shoe has these traditional support features like – internal heel counter and a torsion shank for increased stability, so there’s nothing to miss out in terms of support. 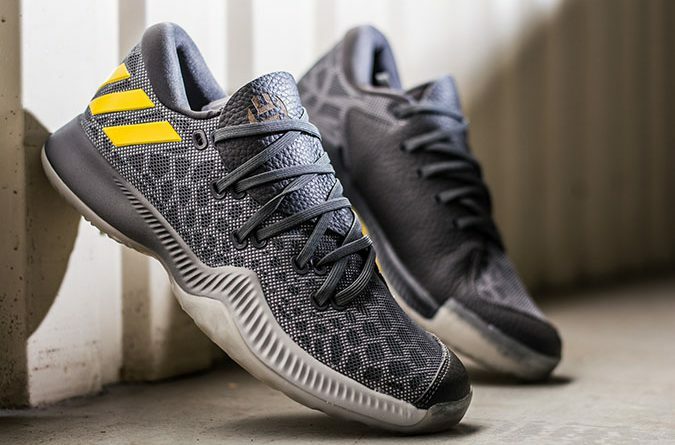 The adidas Harden B/E has it all – supportive, yet soft and lightweight upper, well-rounded BOUNCE cushioning and nasty traction for any type of court. This is the case when you feel like the shoe was worth every single dollar that you have paid for it. 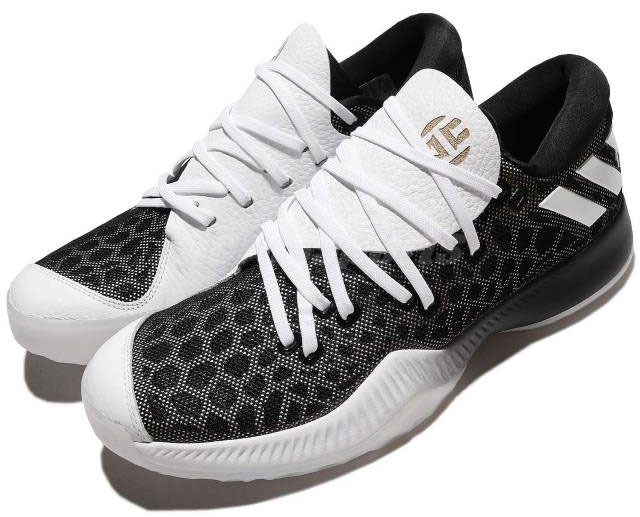 Now if you’re considering switching from the Harden Vol.1 to this, personally, I don’t think this would be a smart move, especially when last year’s model is now on sale at pretty much any retailer. So it’s really up to you. However, if you’re searching for a very solid performer which is also a perfect option for outdoor action as well then this is the version to look at first. 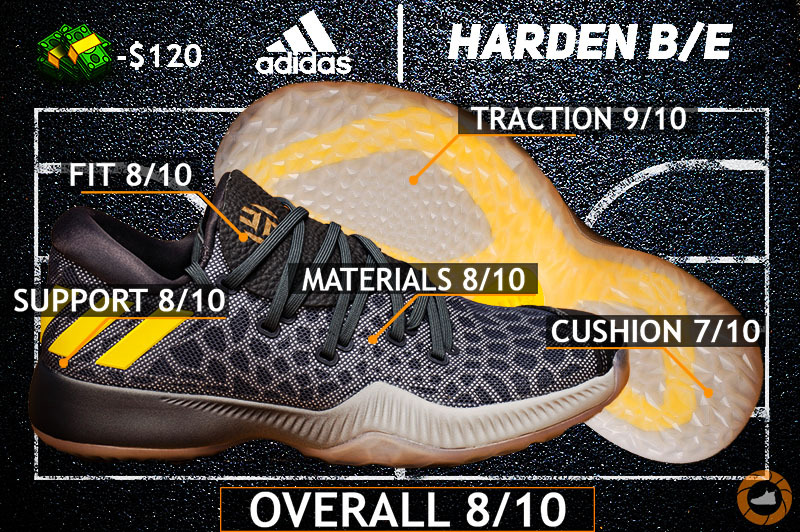 Hope you enjoyed my Performance Review on the ADIDAS HARDEN B/E. Will you be picking them up? Let me know! Wow. These are on my short next shoe list. Between these and the Jordan 32 lows and possibly the crazy explosive lows. It’s gonna be a tough choice. Thanks for the review. Helps a ton. Yeah, they’re pretty legit. But you know what? The Jordan 32’s is the way to go man. I’m now testing them out and oh baby they do perform beastly – I mean on the same level as 29’s. I usually wear 12 but had to go half a size down on these. I do have a pretty narrow foot so it probably has something to do with it. Every shoe fits different & every person’s foot is different too so, yeah, it happens. The linen is good and comfortable, speaking from experience. Highly recommend! As a team line-up, it’s a solid one for sure. And it’s already available in states for those who don’t know yet.